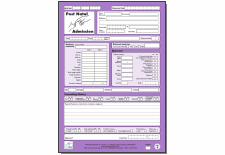 The Postnatal Notes for Mother are to be used in conjunction with Postnatal Notes for Baby. The dual documents ensure support of the mother-baby dyad whilst acknowledging that mother and baby are individuals. When a mother is bereaved, an alternative booklet is available; to review the Bereavement notes click here. Where the baby is with carers other than the mother, the Postnatal Notes for Baby booklet stays with the baby. At the end of the period of midwifery care, both booklets are returned to the unit for filing. The Postnatal Notes intend to facilitate delivery of an improved standard for postnatal care tailored to the individual needs of the woman, the baby and the family. They reflect the NHS Agenda around public health offering an equitable service which is accessible, flexible, and culturally sensitive. Evidence based information is provided to enable mothers and their families to make informed choices, allowing them to engage in their plan of care based on national guidelines and recommendations. 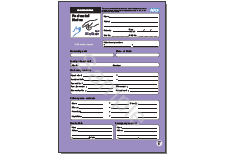 The postnatal notes provide prompts for identification of risk factors to enable action to be taken by appropriate personnel, which can be communicated effectively, supported by efficient documentation of the management process. Explanatory notes on ‘what to expect’. Mothers want ‘information that is up-to-date and evidence based, answers common problems, discuss options and offers practical advice’; socially disadvantaged mothers want at least as much information as other groups. Prompts for midwives to discuss various public health issues which are relevant during the postnatal period – e.g. risks of developing complications, emotional support, domestic violence, and smoking cessation. Further prompts to discuss individual needs and access to services. Information on postnatal screening tests consistent with aims of the National Screening Committee; prompts to confirm that information has been given to allow informed choice. 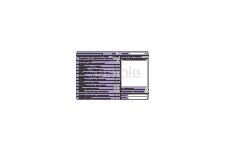 Identifies risk factors for sepsis, VTE, hypertension. Documentation of maternal presenting history and plan of care following assessment e.g. discharged home, admission with or without the baby. * Click on image to view the complete booklet.